It’s July, and you know what that means — we’re getting ready for the annual Intelligent Systems for Molecular Biology meeting! This year ISMB will be held in Berlin (July 19-23), and we are looking forward to mingling and meeting with fellow computational biologists, software developers, and IT experts. 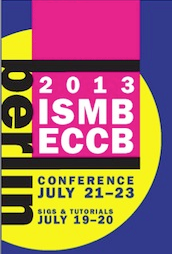 ISMB regularly attracts excellent speakers, and this year’s keynote list is no exception. We are eager to hear from Lior Pachter from the University of California, Berkeley; Gil Ast from Tel Aviv University; Gary Stormo from Washington University in St. Louis; and Carole Goble from the University of Manchester. Two other keynote speakers are also award winners: David Eisenberg from the University of California, Los Angeles, and Goncalo Abecasis from the University of Michigan. In addition to the stellar talks, we are looking forward to speaking with developers about our new app program, which aims to deliver new genomics tools to our user community. With the launch of our new platform this year, DNAnexus has provided developers with a well documented software development kit (SDK) and application programming interface (API), as well as an app “wizard” and templates. Anyone can participate in this program and we are providing participants with an initial $1,000 credit for use in accessing cloud-based storage and computational resources and free technical support from the DNAnexus engineering team. From a developer’s perspective, there are lots of benefits to uploading an app to DNAnexus. A couple of main advantages to the DNAnexus platform include a standardized environment in which your application can run and a great distribution mechanism to gain users among a much broader audience. Our platform is also the most flexible and configurable API-based infrastructure for enabling genomic data analysis and data sharing, with access to command-line interface for bioinformatics experts and from the web-based GUI for non-expert users. Features are scheduled for monetization opportunities that will allow developers to earn income when their apps are used. If you’re interested in finding out more about the developer program, feel free to let us know — a few DNAnexus team members will be attending ISMB. We’d be happy to set up meetings or quick chats ahead of time. Drop us a line at developers@dnanexus.com.